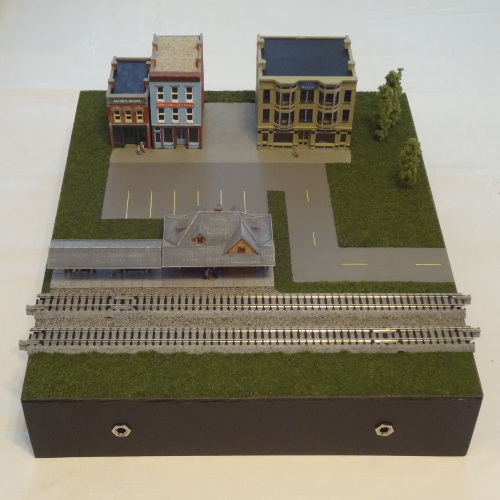 Description: This is my first complete T-Trak module. 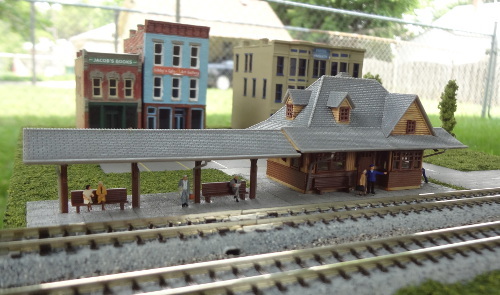 It features a passenger station and a couple stores, one of which is Jacob's Books (named after one of my sons). 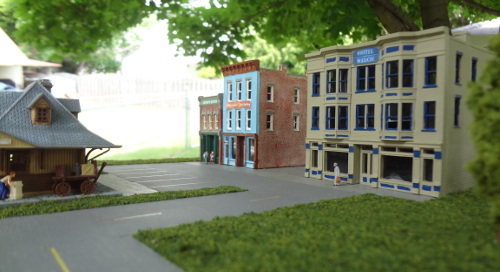 The little patio between the stores will be outdoor seating for the cafe if I can find some cafe tables and chairs in N-Scale.